The HOW, the WHY and the Journey! Yes ladies and Gents, Gwen is officially a WOLRD RECORD HOLDER... 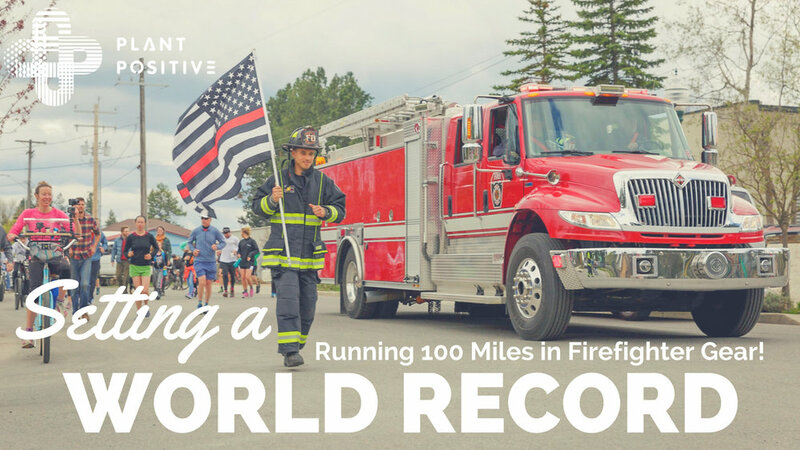 He recently set the world-record to become the FIRST person to RUN 100 Miles in FULL Firefighter Gear! We wanted to write this blog post for you so you can follow his journey to get there, why he did it, how he trained, and everything it took to make it all happen. We will start you off by watching the most exciting video we have, which is the actual world-record run taking place (April 28, 2018). Then if you would like, we will walk you through the Journey, the Cause (CANCER PREVENTION), and the training it took to get here. This world-record would not have been possible if it were not for our amazing friends, crew, supporters and partners/donors. 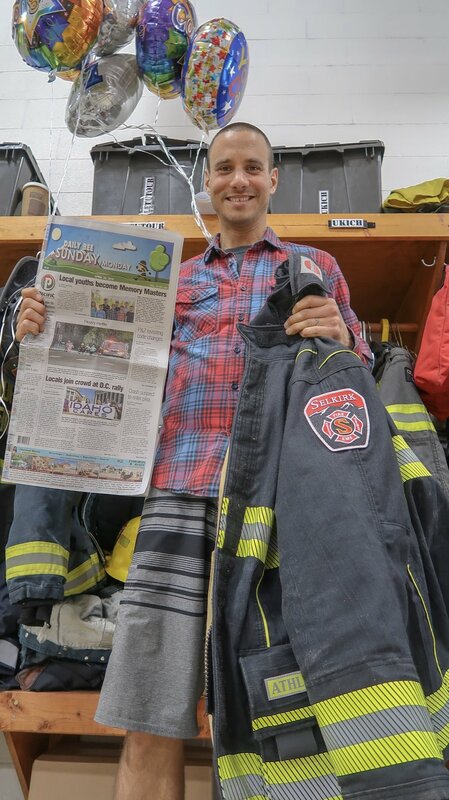 WHY the heck did he want to run 100 miles in firefighter gear? Here is our Official Trailer for the event- which gives a really good idea of why we were doing this all. And if you missed our BLOG POST explaining that this world-record was presented by our non-profit: Plant-Positive as our first campaign, check that out here. Watch this short video so Gwen can tell you himself, why he wanted to run to raise awareness about cancer prevention via a healthy lifestyle and plant-based diet. The TRAINING for this was brutal but fun actually. No one had ever ran this far in firefighter gear, as far as we know, the furthest anyone had run with the full gear (which includes the boots) was a marathon. Other people have in fact ran 100 miles in the gear but WITHOUT the BOOTS! That was what made this world-record so challenging. The running training started as soon as Gwen got his boots donated by Haix USA, back in January. But Gwen had started to train in full gear well before that, as he was using the Scott Firefighter Stair climb event in Seattle Washington as a way to prepare for what was to come, and also have fun and raise money for a good cause. The most difficult of all the training was the LONG RUNS he did in his full gear. The hardest one BY FAR was the 40 mile run he did.. WOW. Watch that here! Before the 40 mile long-run, he did run 20 miles and then 30 miles in the gear, but the 40 miler was really to put it all to the test. After that 40 mile training run he started to slowly taper for the race, which was just over a month out. He still ran a 30 mile training run in the gear the week after the 40, and then the next was his final long run in the gear, which was about 20 miles. Just before the BIG DAY, I got the chance to get Gwen here on camera to talk to you all about how it all had gone to that point and how he was feeling for the big day. Huge thanks to Amy Henderson for taking such beautiful photos during the RUN! Subscribe & get all the latest running blogs, recipes, videos and our thoughts straight to your inbox!